Getting married at a brewery has its perks. The biggest plus so far has been being able to visit Monday Night Brewing with friends or vendors pretty much whenever we want. Rooster’s stepmom was in town for the holiday weekend, so we took her over on Saturday to see the brewery during their tasting session, where we spent a few hours sitting on the patio in the gorgeous weather chatting about our wedding plans over some cold brews. Saturdays at Monday Night usually have a festive atmosphere, with crowds of craft beer fans enjoying cold drinks, yummy street food (it’s a good day if the Doggy Dogg cart is there) and good conversation. And last Saturday, there were pops. The King of Pops. If you’re not from Atlanta, let me catch you up. 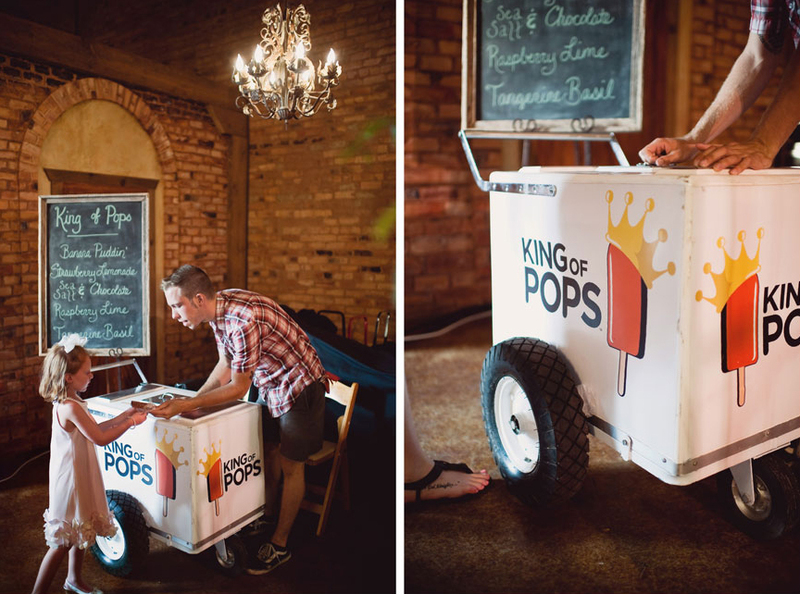 King of Pops is a popsicle cart that dishes out some seriously good pops. 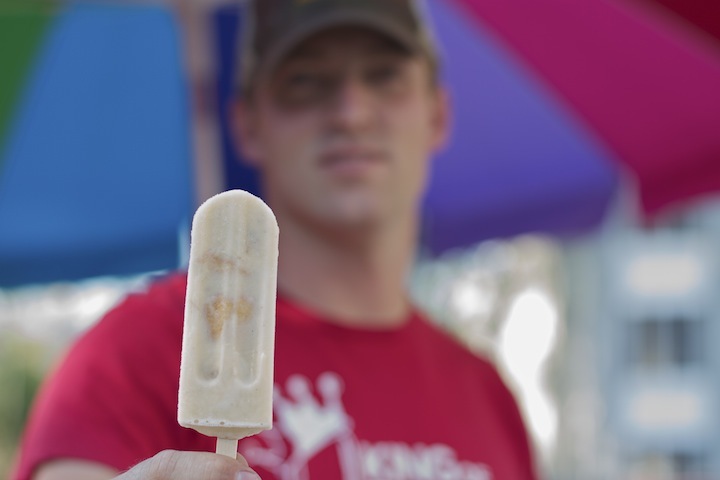 It started with three paleta-loving brothers and one tiny cart on the corner of North Highland and North Avenue, and in just a few short years King of Pops has become an Atlanta institution. They’re well known for their delicious flavors—Banana Puddin’ and Arnold Palmer are my favorites—and have now expanded with pop carts at events and on street corners all over the South (keep an eye out in Richmond, Charlotte, Charleston or Savannah) and mail-order pop deliveries to everywhere else. Miss Banana Puddin’ pop in all her wafer-marbled glory. I don’t know if it was the beer at the brewery Saturday or what, but as we sat down and went over wedding planning on the patio next to the King of Pops cart, Rooster and I both had the same idea: Why don’t we serve popsicles for dessert? King of Pops is a fun local treat, and since most of our guests are from out of town, it’s yet another way to show them how we have fun down in Atlanta. 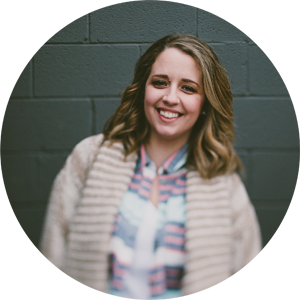 We’re already catering dinner the nontraditional way with a food truck on the patio, it could be fun to set up the popsicle cart right next to it and have amazing gourmet pops instead of a dessert bar (which was our first plan). It’s totally “Atlanta,” and we’re definitely trying to infuse a lot of local flair. It’s nontraditional, and that seems to be our thing. I would love people to walk away from the wedding and feel like it was unique and honest to who we are. The pops are so yummy, and everyone can find something they’d like. We’d definitely have to have Arnold Palmer, Banana Puddin’, Mango Mojito and Key Lime Pie flavors up for grabs. The flavors and the local source helps reinforce our Southern menu. Hiring a cart and attendant will be so much easier to pull off than organizing our own dessert bar, and probably be less expensive overall. I felt a weight come off my shoulders when we threw around the idea of serving King of Pops. Add cute photos like this one to the ‘Pro’ column. I really won’t miss having a cake or cake cutting. The King of Pops folks are professionals. These pops are served up from a cart by an attendant and are always totally frozen, so I’m not worried about any melty serving logistics. We won’t be assigning seats in our unstructured cocktail-style wedding reception, so it wouldn’t be out-of-place to have a cart where guests can walk up and get their dessert whenever they’re ready. I asked a few strangers on a message board, and they think popsicles sound messy, especially for guests in semi-formal wear. Since I’ve had King of Pops a bunch before, I know they’re not messy at all, but I don’t want our guests passing on our only dessert because they’re worried about drips. It could be too cold for pops in October. I mean, I wouldn’t turn down a key lime pie popsicle when it’s 65-70 degrees outside, but others might. 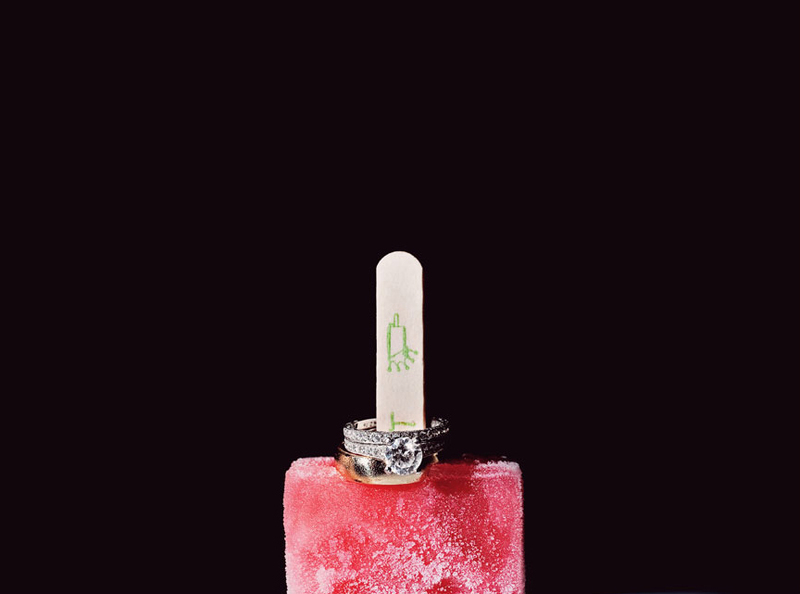 Popsicles definitely feel at home for a summer wedding, but will it work in the South in the fall? Is it filling and sweet enough? Because of the minimum order, we’d have enough to serve two pops per person, but it still might not be the kind of thing that satisfies a sweet tooth, especially if guests come expecting a big hulking wedding cake. We don’t have room in the budget to do both popsicles and a more traditional dessert bar, so we’re really weighing our options here. What do you think? 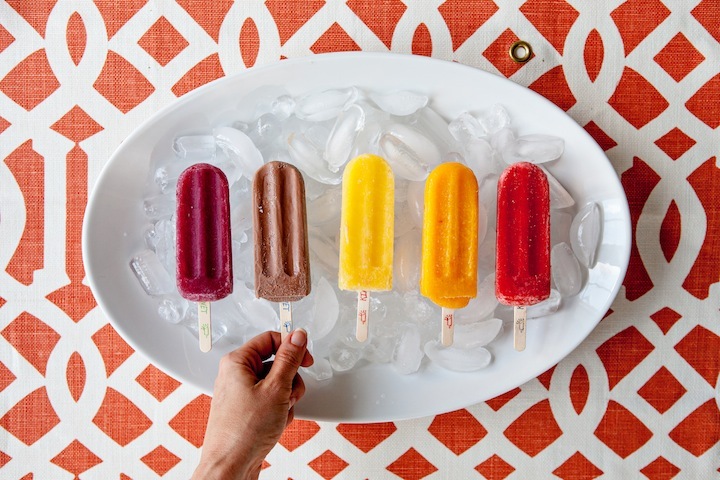 Would you be excited for popsicles at a wedding? Or would you be put off by the potential for messes or a chill in the air?